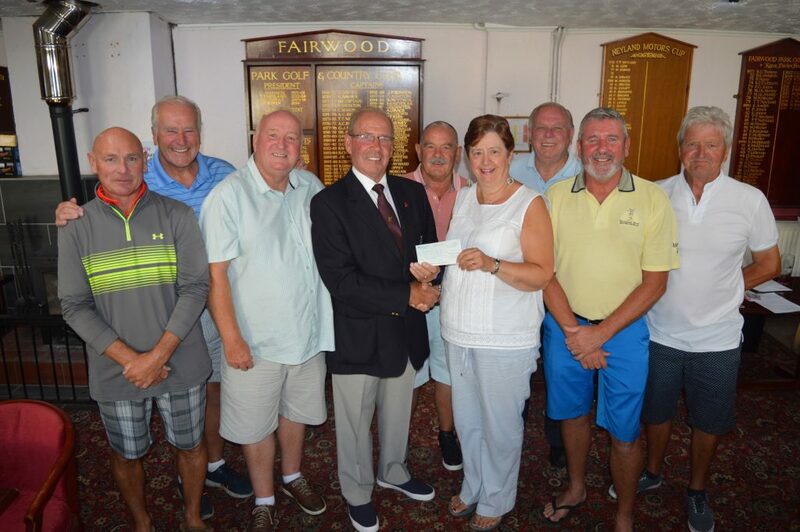 Fairwood Park Golf Club ‘Company Day’ expertly organised by Rod Morgan and aided by many of the members was a tremendous success. The event was well supported by many companies and organisations throughout the area and with over 30 teams taking part the day raised £1595 for Ty Olwen, their chosen charity for the year. Club President, Jeff Bowen, made the presentation to Helen Murray.